Whether you are a group study class or a private study class, you can quickly improve your learning ability and your ability to comprehend all aspects. For example, you can handle challenges more easily at work, in society, in shopping malls, and in schools. The purpose of our training is to enable trainees to understand the proper posture of the human body and the proper posture to be maintained; to adjust and enhance the correct posture of sitting, standing and walking. To try to prevent and reduce the harm caused by bad posture. Exercise cardiopulmonary function, increase muscle strength, improve and enhance the coordination and flexibility of body parts, better balance; regulate and enhance the degree of sleep (helpful for insomnia); reduce tension and help the rest of the body including the nerve to truly rest. Improve the eclecticism and positive emotions to the relaxed and happy mood. 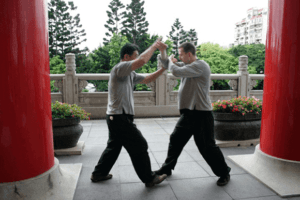 Internal Force Training and Application in Wing Chun. Improve metabolism, blood circulation throughout the body parts. Guide the flow of energy in various parts of the body. Relieve stress and pain Correct the incorrect posture. Especially the spine, neck, and back around the tight muscles, tendons, and nerve tissue. Simple but fast natural reactions, such as handcuffs (“sticky hands”), allow you to quickly generate self-defense actions like conditioned reflexes. You can flexibly arrange yourself, or ask for convenient study time. * There are children’s classes. Sifu Wan’s focus is on teaching the best Martial Arts in Sydney as an art. 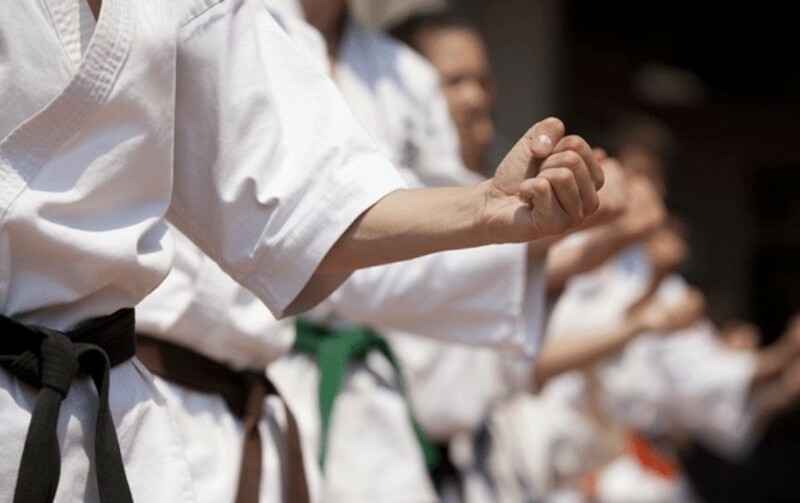 Within that, you will find not only practical self-defense, but body conditioning, self-confidence, self-discipline, flexibility, endurance, body awareness, coordination, balance, and focus. Tao de Wan is designed as a healing service with the martial arts as its heartbeat. 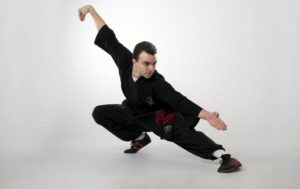 Tao de Wan is the best martial arts in Sydney as it is completely flexible, catering to clients needs and goals. With a come to your service, you choose your time and location. The goal for Tao de Wan is to expose the best martial arts in Sydney to clients to as many different ways of thinking as is feasible. All cultures have their own defense styles; some have been developed by borrowing from other styles and some are uniquely original. 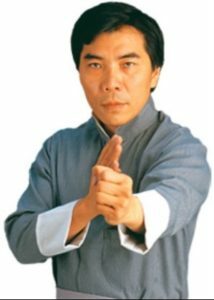 Sifu Wan teaches Wing Chun and meditation which is incorporated throughout training. Clients earn a well-rounded education in striking, kicking and energy re-direction. Tao de Wan is known for the intensity of community spirit, for the focus on whole-body health and each individual’s journey through the best martial arts in Sydney. The deeper understanding of martial art using Wing Chun Kung fu striking with exact precision, power, and speed. Simple techniques any woman or small person can use to escape and defend against a much bigger & stronger attacker. How to absorb and redirect incoming force from much bigger opponents using the correct biomechanics, even if you are weak, frail and never throw a punch. Parents! Discover how Wing Chun can help your child establish positive habits. Teaching kung fu to teens in an age of street violence and bullying may seem to be counter-intuitive, but the benefits of kung fu training can help to tone down these social problems. Kung fu training develops a sense of self-confidence, respect for others and an inner peace that helps young people become productive members of society. Training in kung fu also helps young people become more physically fit than they would be if they just remained on the couch with a video game controller in their hands. 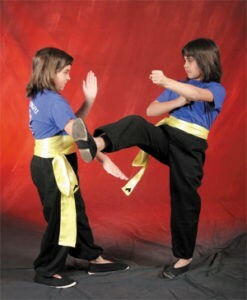 Kung fu training helps infuse a sense of discipline in students. This discipline may manifest itself in a student standing up for a weaker classmate or helping others with their school work. Discipline is necessary for any teen to achieve their goals and desires. Kung fu training helps young people learn how to deal with frustration and work toward a specific goal. 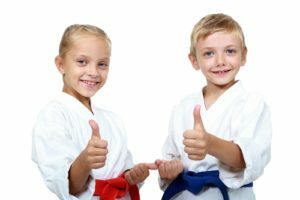 Taking an unfit child and teaching them how to effectively protect themselves in the event of an attack does much more than just teach them how to punch and kick hard. It teaches a self-confidence that comes from the inner knowledge that he/she doesn’t have anything to prove. 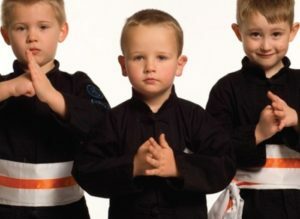 You may notice that your child walks a little straighter, holds his head higher and speaks up for himself more after a little kung fu training. Many children are unfortunately left to fend for themselves, resulting in an epidemic of street violence in many communities. kung fu provide a fun, supportive atmosphere where young people are free to be themselves and where they suddenly realize they fit in. A supportive atmosphere like that found in most kung fu schools helps young people understand that there are adults who care about them and want to see them succeed. Kung fu training is certainly a physical endeavor in addition to all of the mental and emotional benefits provided. Teenagers today are more sedentary than they were in the past, and getting off the couch and sweating a little bit helps them learn the benefits of physical activity. Your teen may start losing weight, become more active and take more interest in physical activities after martial arts training. Clearly, the earlier in life you start practicing internal styles of kung fu the greater your physical and mental capacities will be in old age. However, many people basically ignore their health until the natural healing and physical capacities of youth start to diminish. Suddenly, you get a wake-up call, generally from pain, discomfort or maybe an injury that could heal in a couple of days previously now lingers on for a couple of weeks. And when you have little sleep or lack of rest, you feel completely run down for several days until the weekend when you can rest for a whole day or more. Maybe you find that you suffer from colds and other viral illnesses more often. General tension and anxiety seem to last longer. Your libido may decline. These are signs of poor health habits are catching up with you. Commonly, these wake-up calls happen to people in their 50s. Unfortunately, there is a growing number of younger people burning out and experiencing these problems in their 30s and 40s—some, even in their 20s. You can ignore the warning signs and stay in denial, or you can do something right now to reverse the damage and begin regenerating your body, mind and spirit—regardless of your chronological age. Now, you could be in your 50s and yet, be quite healthy. If so, there’s no doubt that you’ve managed to do something or many things right, and you probably already recognize that maintaining your good health will allow you to continue enjoying your active and fulfilling lifestyle. Realizing the full potential of your dreams and making positive contributions to your family and society all starts with your health. Although all practitioners can expect to gain the range of kung fu health benefits, practicing internal kung fu styles has special benefits for people over 50. Many health studies conducted in China and the West show how kung fu and meditation practices improve health. Usually, it takes about 20-30 days of continuous practice to create a new habit. Participating in lessons three or four times a week helps develop that new rhythm. Lessons provide a good practice environment while instructors and students provide a nurturing support system. Practicing in lessons with the aid of instructor (especially for private students with one on one work) helps students become aware of the abundance of chi. During this period, it is important for the instructor to explain the differences between external and internal practices and what students can expect to learn physically and mentally, as well as what they might expect to come across emotionally and what to do about it. • Remembering the physical movements. • Not comparing their learning rates to others. • Slowing down and not over doing it. • Letting go of competitiveness. Potential students discuss to their friends, fitness practitioners, chat on forums and social media sites. They read books and research on the internet about practices that can help them achieve their goals and find more understanding. They find something that matches them intellectually or emotionally. They find that it seems right, makes sense or they think it will solve their particular problems. They look for intellectual confirmation to strengthen their view. They narrow their choices to a few. At this stage, people research what instructors and lessons are available. They may take an introductory class or weekend seminar and talk with practitioners, students and instructors. They may purchase a video and try a practice on their own. They find out about the challenges involved and then must make a decision if it is something they want to do. At this stage, people commit to a class several times a week. External factors matter: the setting of the class, the personalities of the instructor and other students. At some point, students must take wing chun unto themselves and make it their own. True advancement begins with practice outside of class. The instructor will show what the next learning phase is and ask students to practice in order to progress. At first, beginners will feel happy to learn the basic movements and get better at them. But, the bigger challenge is to learn them well enough to feel their impacts deep inside the body and mind and develop the new inner rhythms that will lead to adopting wing chun as a daily practice. When students begin to practice outside of lessons, their practice is often erratic. There is no support from their instructor or other students when they encounter moments of forgetfulness or awkwardness. There are also the very real challenges of encountering negative emotions without anyone to provide guidance. In addition, there is the inherent slowness of the process in learning and remembering the moves and feeling the benefits. The best strategy for success at this stage is for students to find a consistent time and place to practice—a time that is held apart and becomes routine and inviolable in a place where the practice cannot be interrupted. Students have stuck to the lessons long enough to learn basic movements and have developed the practice habits that bring about new internal rhythms. 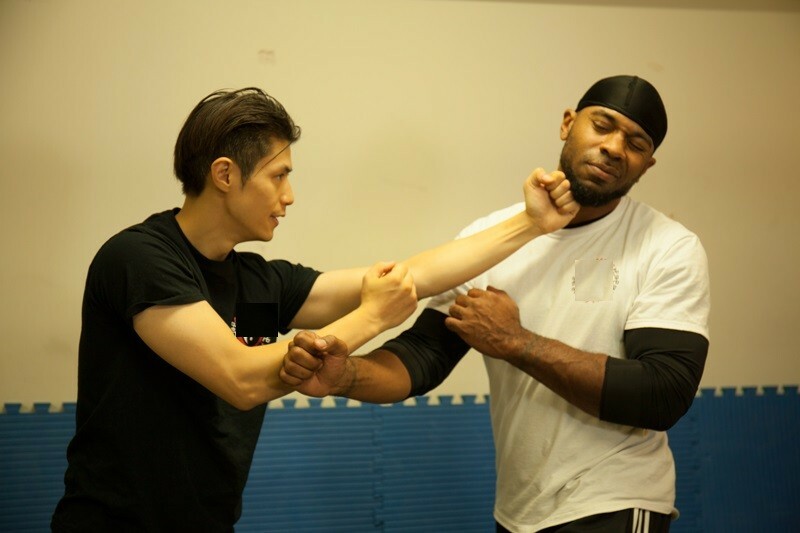 While practicing wing chun, there will be breakthrough moments when new plateaus are reached. In these moments, students suddenly feel more agile and alive; their minds and spirits have moments of great clarity and focus; they feel moments of total relaxation combined with a new ability to handle tensions and anxieties. 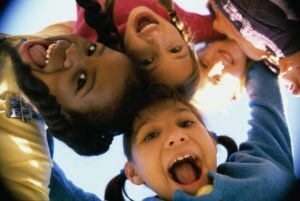 They recapture the sheer joy of learning they once had as children. Kung fu energy practices inherently come with inner difficulties to overcome and pass through. Plateaus may be followed by periods where not much seems to happen, the practice seems to be going nowhere and self-sabotage is likely. This is where students feel their negative energy and the effects of the accumulations of negative emotions. They may quit just before a new summit is reached and sink back into self destructive habits. Wing chun brings them increasingly into contact with their ego and the flow of their energy. When they begin contacting that energy—for better or worse—they will contact areas of their emotions or thinking that may make them feel out of control. When they start traveling in unfamiliar territory they might become uncomfortable and afraid of working through these feelings. They become fearful of what they may encounter and stop practicing. 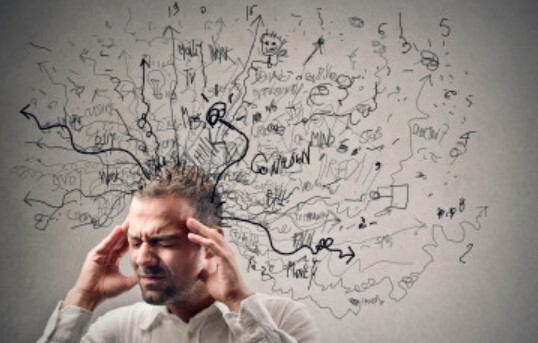 One of the warning signs of self-sabotage is disassociation. Students do the movements on automatic pilot and remain unaware of their effects. They will have to make peace with themselves before they can pass through it and head towards the sublime. With diligence and perseverance students will build a foundation that will effectively and increasingly enable their practice. In the period that follows a plateau or an encounter with a self-destructive habit, students need approach their practice gently and find ways to challenge themselves with small successes so that their practice inspires them again. Practicing one movement over and over. Making their movements more connected and smooth. Relaxing into one posture and hold it for a minute or more. Thinking of ways to continuously re-inspire themselves will keep the practice fresh and alive. Satisfaction must come from the inside and increasingly this is what the practice of wing chun can provide. What Westerners often fail to grasp about Chinese martial arts is that their primary purpose is to serve as defense against disease and degeneration, not against bullies and bandits, and that they are based upon precisely the same forces that lie at the heart of medicine, meditation and Taoist arts. Learning martial arts means self-assurance, not arrogance. It is not the boxer who is dangerous, rather, it is the weakling. Insecure, the latter must constantly ‘prove’ himself. To Taoists, the martial arts are simply the Yang complement to the Yin arts of medicine and nutrition and the active physical complement to the passive spiritual arts of meditation. From the point of view of the “Three Treasures”, the medical/nutritional arts nourish essence, the martial arts ‘martial’ energy, and the meditative arts cultivate spirit. The fusion of body and breath in exercise is traditionally attributed to the Buddhist monk Bodhidharma (Ta Mo), who arrived in China from India during the fifth century ad. In addition toBuddhist scriptures, Bodhidharma introduced yoga and pranayama breathing to China. The resulting blend of indigenous Chinese dao-yin animal forms with the yoga and rhythmic breathing brought from India by Bodhidharma gave birth to the Chinese martial arts as we know them today. The indivisibility of the Three Treasures is the key that links the medical, martial and meditative arts in Taoist tradition. All three aspects support and complement one another and approach the same goal of harmony and balance from different angles. In China, most masters of the martial arts study and practice traditional Chinese medicine and devote time to the cultivation of spirit through meditation. Most Chinese physicians also practice soft-style exercises and deep breathing, and Taoist mystics keep their bodies in shape by practicing martial arts and taking medicinal herbs. As with everything else in Taoism, exercise is a package deal in which the total is greater than the sum of its parts. It cannot be fragmented into parts without losing its therapeutic benefits. Bodhidharma ended up at the famous Shao Lin Temple in central China. Part of his program was to get the Chinese monks there back into physical shape, for they were all cramped and half-crippled from pro- longed meditation in lotus without any exercise. Though Buddhist, Bodhidharma was deeply influenced by Chinese Taosim, and to this day he remains the patron saint of the martial arts in China, Korea and Japan. His glum, scowling face with his big, penetrating eyes and perpetual five-o’clock shadow remains a favorite theme in traditional scroll paintings. In order to learn the traditional martial arts forms of China, especially the subtle internal schools, such as Tai-Chi (Form of the Supreme Ultimate), Ba-Gua (Form of the Eight Trigrams) and Hsing-Yi (Form of Mind), personal guidance from a qualified master is an absolute necessity! As a spiritual martial artist, exercises involve careful coordination of body, breath and mind in order to cultivate and harmonize the Three Treasures of essence, energy and spirit. These three aspects are inseparable. If you falter at one level during the exercises, the other two are immediately thrown off balance. For example, if your mind ponders tonight’s dinner menu or recalls last night’s sexual encounter during your exercises, body and breath lose their ‘commander’ and cannot synchronize. If you go through the physical motions without breath control, the body must burn stored energy rather than utilize fresh supplies of chi provided by proper breathing and if you fail to property loosen, stretch and relax the body, breath will not be able to circulate blood and energy to the limbs, organs and other tissues.